Looking for that authentic Northern New Mexico Territorial? 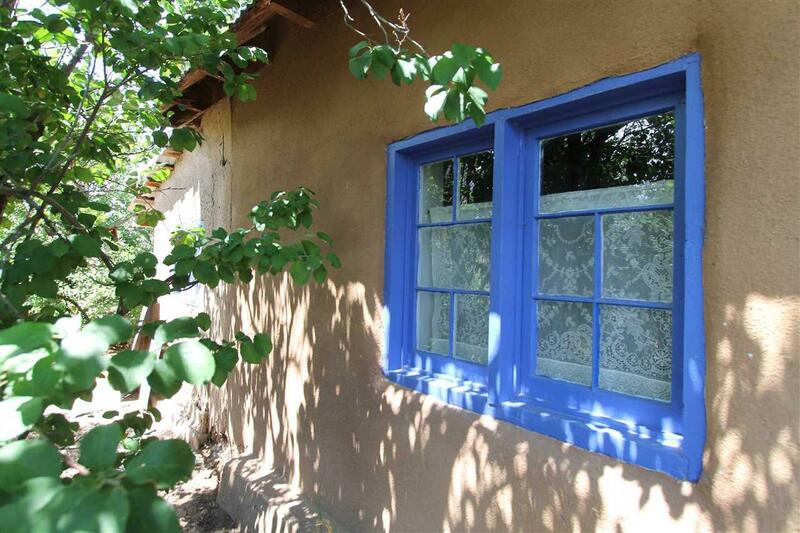 This two bedroom adobe home with divided light blue pane windows could be for you. 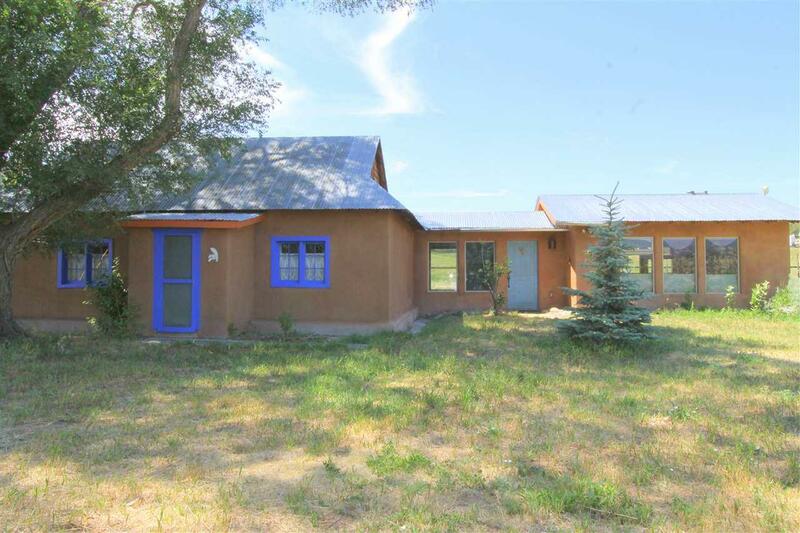 Located on the scenic High Road to Taos, in the lovely hamlet of Chamisal, it sits pretty on a knoll of pasture land overlooking the valley. 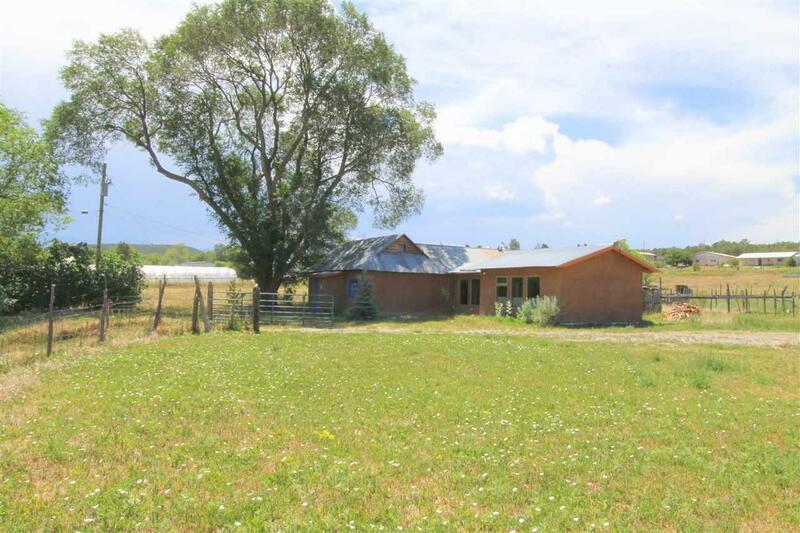 With an acequia in the front yard and a barn and some pasture out back, this charming home has maintained its integrity and captures Northern New Mexico from days gone by. The current owners have added a large light filled living room with pitched tin ceilings and a wood burning stove to add to the 1500 square foot adobe home. A light filled walkway, with an attached passive solar sun-room, connects the addition to the the adobe. Whether its a country get away that youd like, or you're just looking to live a little further out of town, this home is very sweet for those that want to slow down, take a breath, and take in the views. Bring your horses, as theres a 3-stall barn and a storage area, or use the barn as your carports. When walking on the property, take the survey, as the land goes back to the second fence line. The property has Chamisal Community Water, an old fashioned hand dug well in the courtyard, along with irrigation rights to the ditch. The large tree out front provides shade in the summer and the courtyard is lush with plum trees and shade to keep you cool in the summer. Priced to sell! 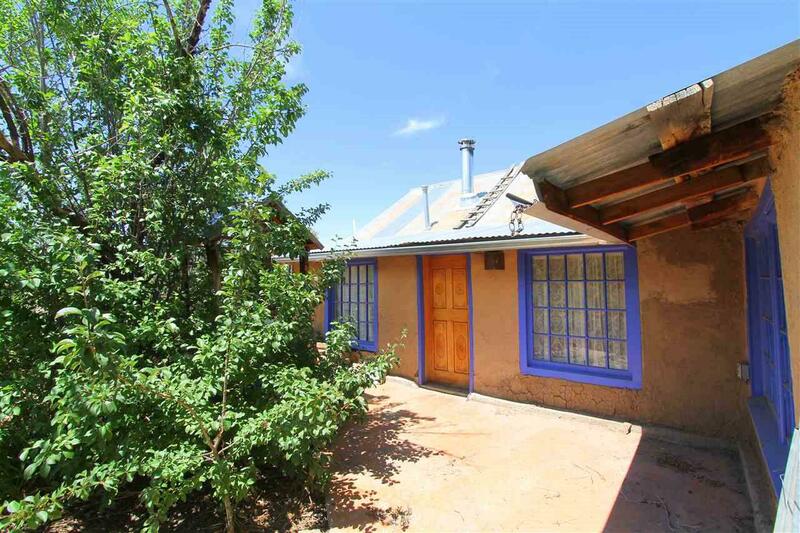 Only 27 miles to Taos, a bit off the beaten path in the lovely High Road Community of Chamisal.